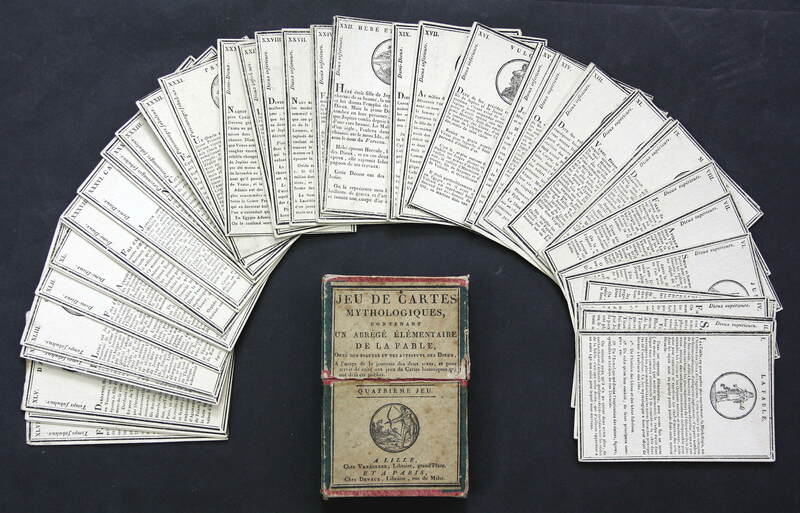 Jeu de Cartes Mythologiques. 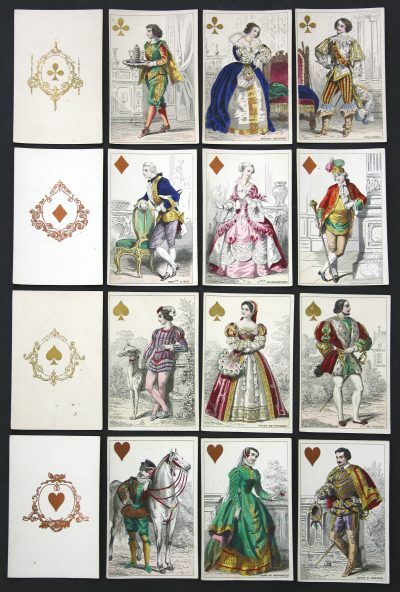 Lille, Vanackere, n.d. (c. 1810) Contemp. 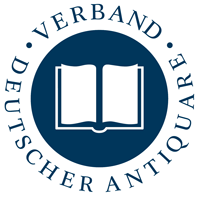 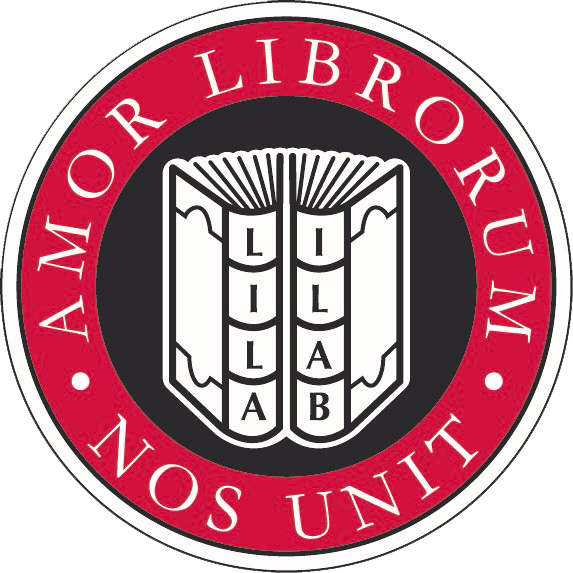 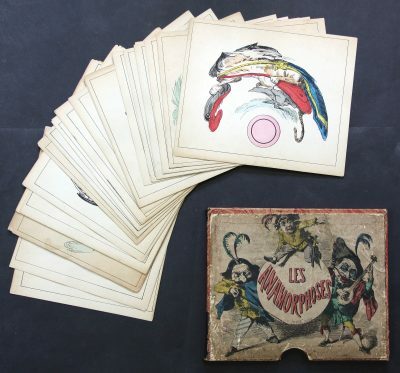 box with printed title. 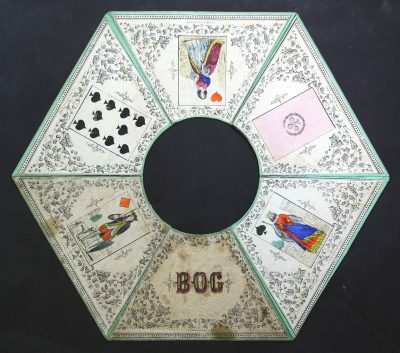 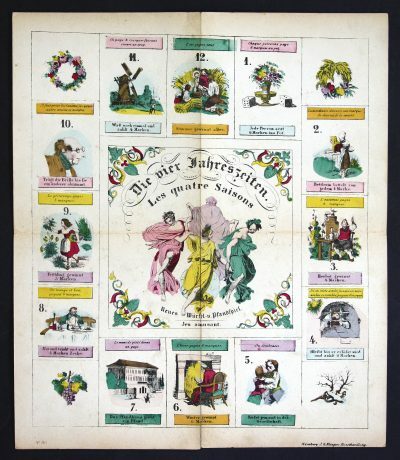 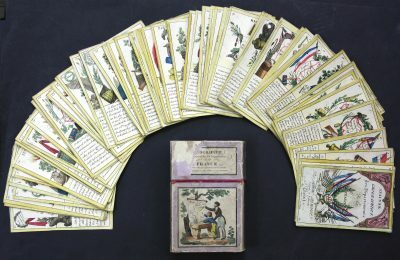 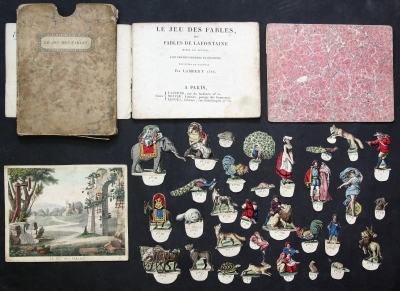 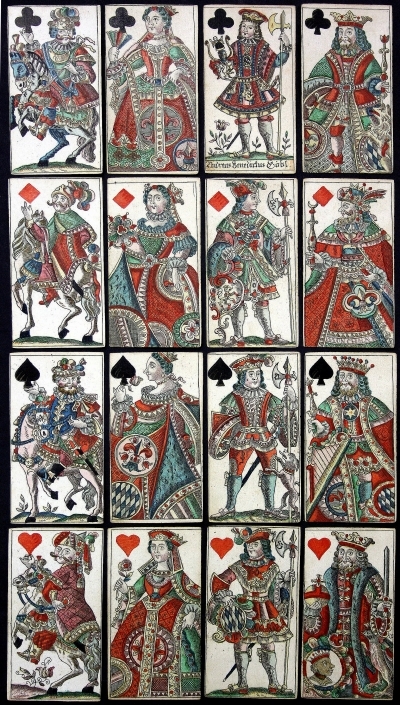 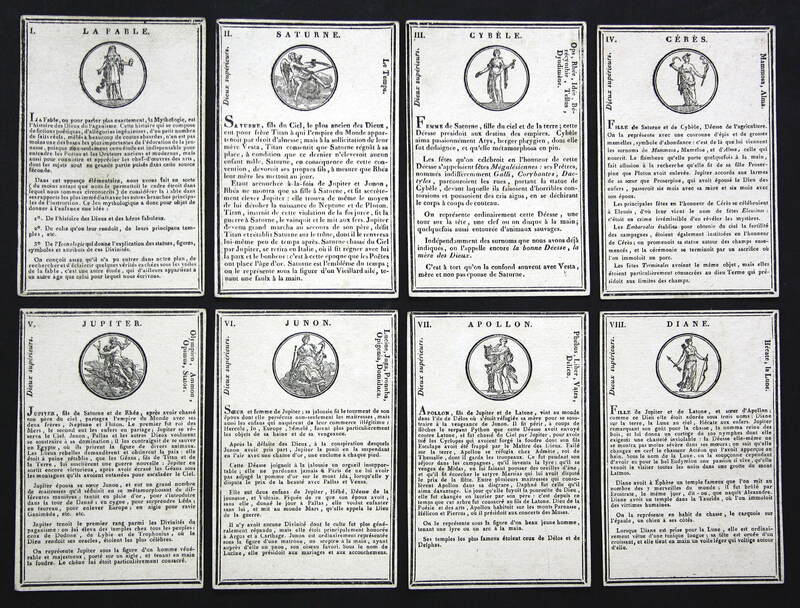 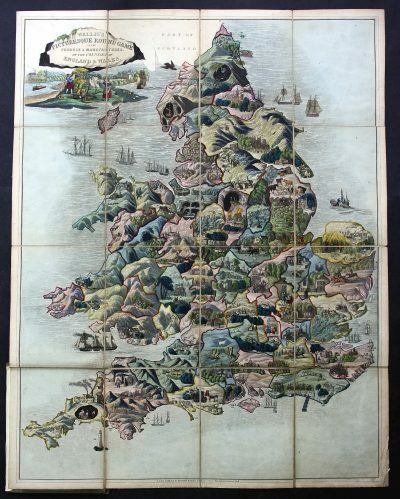 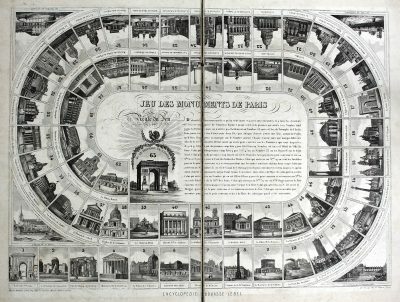 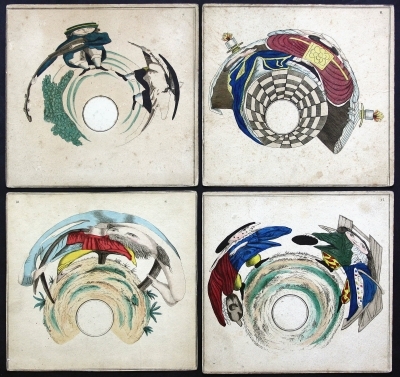 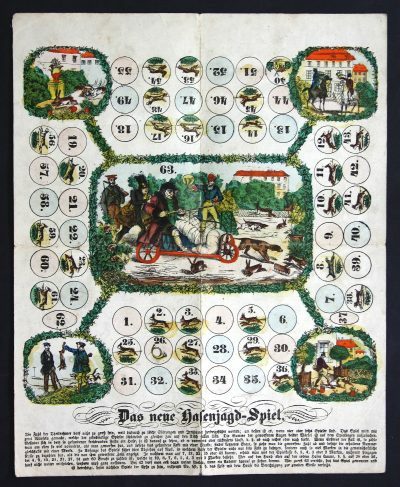 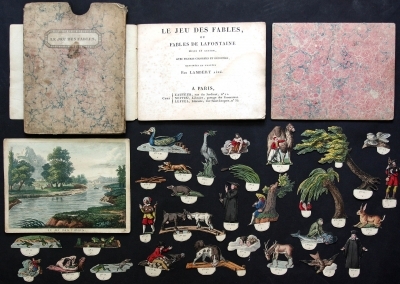 One of several French educational playing card sets which were published around 1800/1810. 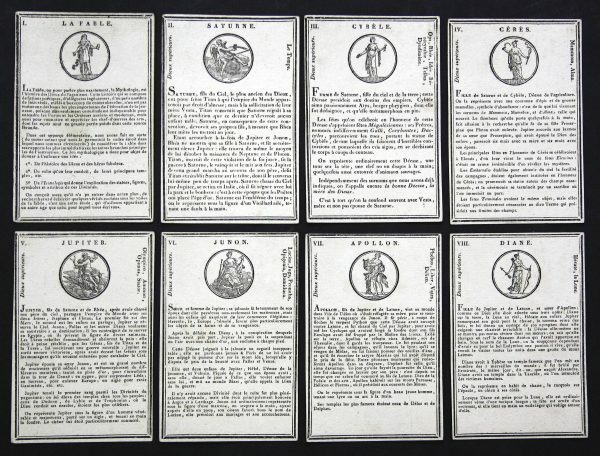 Each card bears a little woodcut image of a figure from Greek mythology and a comprehensive text below.